RSPCA Assured, the RSPCA's new ethical food label, has launched an integrated campaign in the run-up to Pancake Day (Tuesday 9 February). A short video, conceived in-house by the RSPCA comms team and created by Spectrecom Films, features the voice of actor John Hurt. In addition to being pushed across social channels, it will be shown during programmes such as Channel 4’s Sunday Brunch and Come Dine With Me and More 4’s Jamie’s 15-Minute Meals and Kitchen Nightmares. The campaign is based on the statistic that 52 million eggs are used by Brits on Pancake Day - 22 million more than any other day of the year. According to the RSPCA, about half of eggs produced in the UK come from hens kept in cages. The campaign aims to encourage people to look for 'RSPCA Assured' eggs, which do not come from caged birds. Liam Kurzeja, marketing manager of RSPCA Assured, said: "The TV ad will air during popular food and family programmes in the run up to Pancake Day. 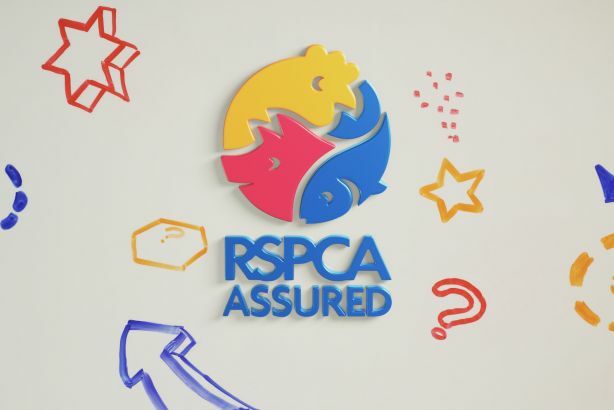 The quirky combination of animation and poetry used in the ad is designed to be engaging and educational, with a clear ask for people to choose RSPCA Assured products." As well as the ad, RSPCA Assured has launched a recipe video, also created by Spectrecom Films, on how to make a pancake. The video will run on Facebook, Twitter and Instagram. The campaign will also be supported by a series of infographics on laying hen welfare and pancake information, which will be shared on social media and the RSPCA Assured website. The RSPCA Assured label on meat, eggs and fish, which launched last May, hopes to help improve the lives of 100 million more farm animals, plus millions of salmon and trout, within five years.